Don’t learn Spanish through a textbook filled with unrealistic and boring dialogues. Instead, read about current events and topics that interest you. 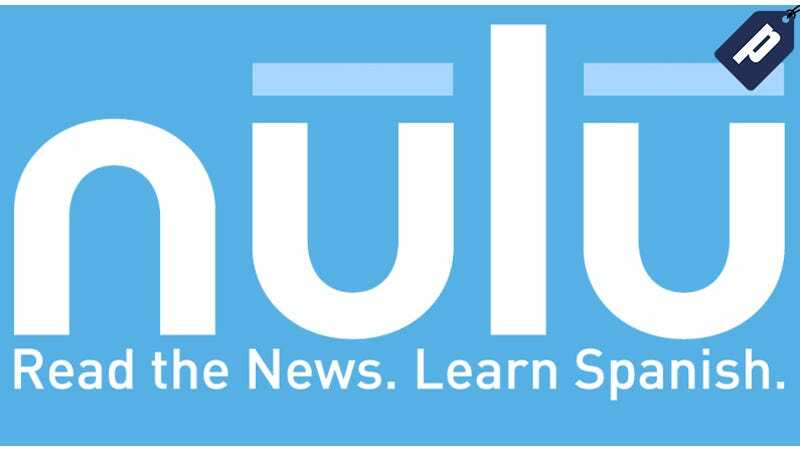 Get a two-week free trial of Nulu and, once you’re hooked, get 20% off the subscription of your choice. Read that day’s news story or one of thousands in the Nulu archive. Listen to native speaker audio of each story; play it at different speeds to improve your listening comprehension. Hover over any word you don’t understand to get a translation and click it to save as a flashcard. Take a quiz at the end of each story to test your understanding. Finally, share your thoughts in the discussion forum to practice your writing skills. Start your free 14-day trial now. Subscriptions are discounted as follows: monthly ($15 now $12); six-month ($75 now $60); or annual ($120 now $96). In as little as five minutes a day, Nulu can get you to Spanish proficiency quickly.